Heterosis: What is Hybrid Vigor? Have you ever caught a tiger trout, cutbow, or tiger muskie? Each of these fish is a hybrid, the result of spawning between two different species. These hybrid fish are always a treat to catch, since many of them are not very common, and several have bright, intricate markings. While most people are familiar with the concept of hybridization, heterosis is not as widely understood. Heterosis, or hybrid vigor, is the tendency of hybrid offspring to have superior biological function to that of their parents. For example, corn plants often show increased growth rate or yield when they are hybridized. In fact, most of the corn grown in the US exhibits hybrid vigor. Take a look at some of the game fish examples. Tiger muskies grow larger than northern pike, and although they don’t max out as large as normal muskies, they grow much faster and are more aggressive. Many people target them for their ferocious attitude. These sorts of traits are common across the board. Offspring tend to grow very quickly, have a voracious appetite, and fight hard. In some species, like the cutbow, they are even better at fighting off diseases than their parents. To understand why heterosis works the way it does, sometimes it’s easier to think on the opposite end of the spectrum: inbreeding. Inbred offspring tend to show inferiority compared to their parents, due to their likelihood of displaying negative recessive traits. Looking at it from this point of view, it makes sense that offspring of far different parents tend to be more fit overall. Tiger muskies are known for their fast growth rate and aggressive attitude. Although heterosis is common, there are other factors that come into play that are worth considering. Firstly, it can be hard to put an exact definition on the idea of superiority as it pertains to the traits of offspring. For example, it’s clear in the case of a tiger trout that they grow more quickly and are more voracious than brook trout. On the other hand, mules are prized for their good temper compared to horses, but does that technically make them more fit? It makes them preferred for their use, but wouldn’t necessarily help them out in a natural environment. A similar situation arises in fish. Since many game fish hybrids are sterile, they make the perfect solution to invasive species in some lakes. To get rid of unwanted fish, biologists can stock sterile, heterotic hybrids into the same water. These voracious eaters will clear out the problem fish without being able to reproduce themselves, causing a new invasive species. While this is a great solution to the problem, being sterile would not be beneficial in nature. It just happens to be a useful tool for biologists. Also worth noting is that it’s possible for some hybrid offspring to be less fit than their parents. This is called outbreeding depression. There are two common causes for outbreeding depression. The first is that hybrid offspring may not be suited to the parents’ environment. For example, a large animal and small animal may produce medium-sized offspring that are unable to thrive in either parent population. Alternatively, offspring can display outbreeding depression if their parents have distinct genetic backgrounds that favor different alleles. These alleles can have different effects in differing genetic backgrounds, potentially causing the offspring to be less fit than either parent, given their now-combined genetic makeup. Lots of common game fish can hybridize to produce offspring with hybrid vigor. Here are a few examples. 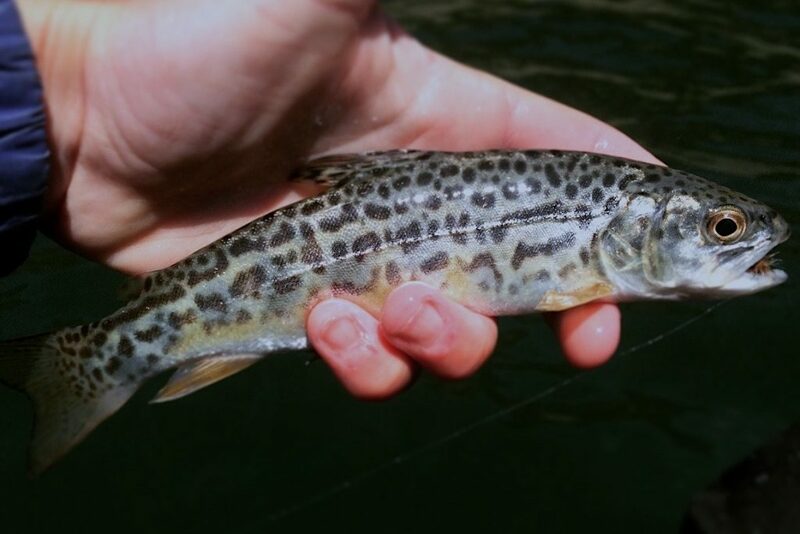 Tiger trout, the result of a brook and brown trout, are fast growers and aggressive feeders. 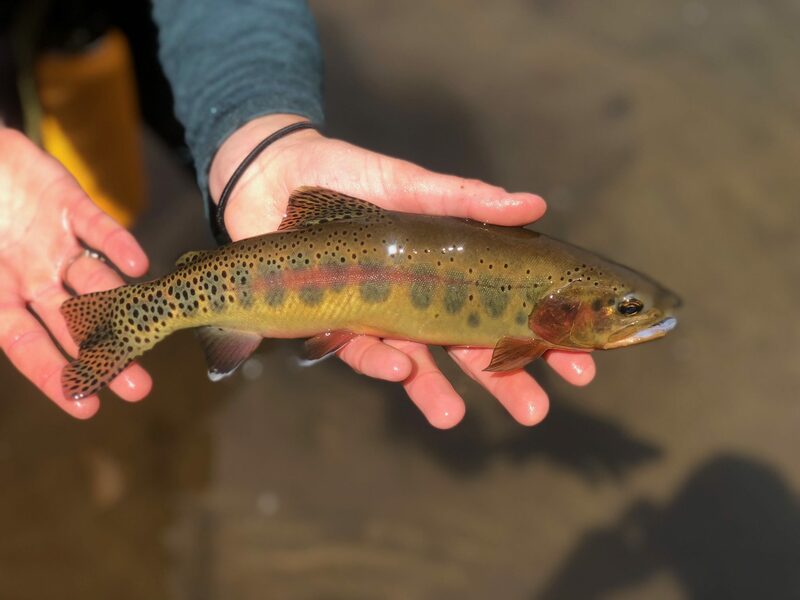 In addition to their rapid growth rate, they also tend to grow larger overall than brook trout, and often become piscivorous at larger sizes, something that doesn’t happen as frequently in brookies. Wild tigers are pretty rare, since brook and brown trout have different numbers of chromosomes. They can be produced in hatcheries, though, and are frequently stocked as game species or to control other populations. Another brook trout hybrid, splake can also grow to large sizes thanks to their other half, the lake trout. Like tiger trout, splake can be aggressive and become piscivorous. Although generally smaller than lake trout overall, splake grow faster than both brook trout and lakers. Since they rarely reproduce, they make a good population control fish. 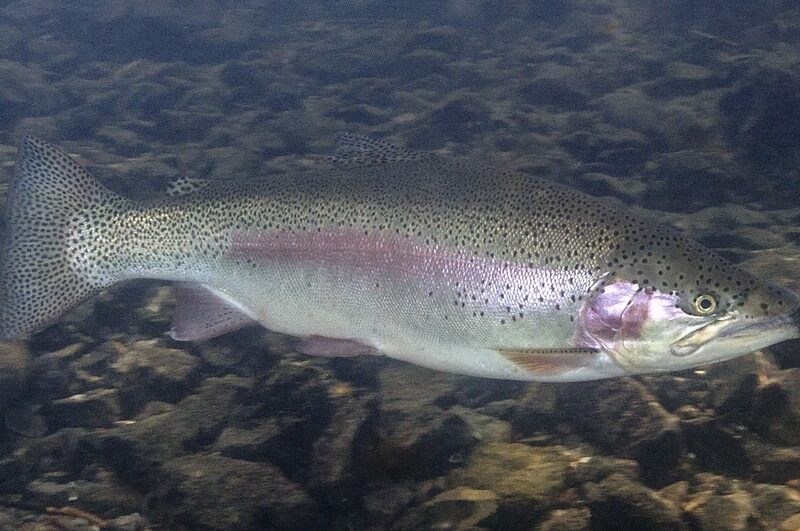 The cutbow, a cross between a rainbow and a cutthroat, is one of the few hybrids that not only occurs in nature when both parent species are present, but also can reproduce itself, making it arguably one of the fittest of the hybrid game fish. Additionally, they are known to be very resistant to whirling disease, which can easily affect either parent species. Compared to the other hybrids listed, cutbows are also fairly common, probably due to their ability to self-sustain. A cross between a striped bass and a white bass, a wiper displays several heterotic traits. Like many of the other hybrids, wipers are known for being aggressive feeders and hard fighters pound-for-pound. In addition to these more common traits, they’re also quite resilient to more extreme temperature variations than either parent species. 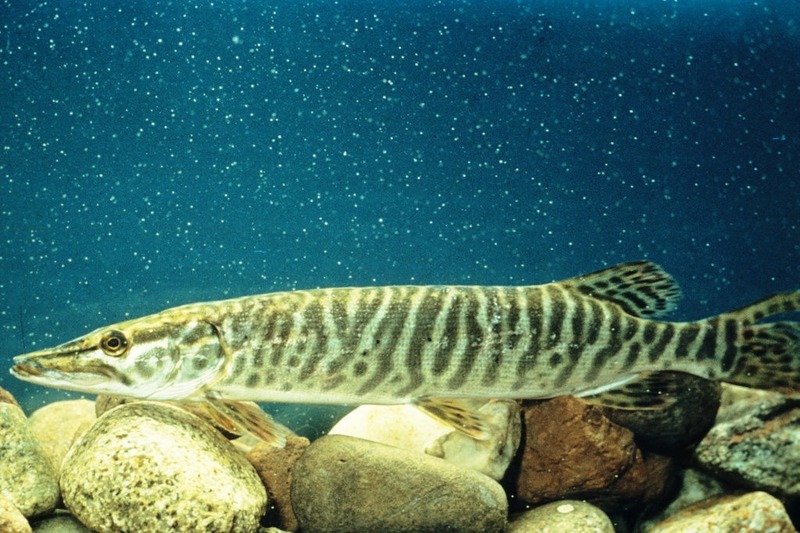 One of the most sought-after species on the list is the tiger muskie, a combination of northern pike and muskellunge. Like the splake, they generally don’t grow as large as their larger parent, but tiger muskies grow extremely quickly. They’re also hard fighters, and will more readily take a fly or lure than true muskies. The appropriately-named saugeye, a sauger and walleye, also shows evidence of heterosis. It displays the classic fast growth rate and voracious appetite, and has been used to keep populations in control. In one example, saugeyes were stocked to lower an existing population of white crappies that had stunted growth due to overpopulation. Once saugeyes were introduced, crappie mean lengths increased significantly. Lots of sunfish species are able to hybridize, but one of the most common is the cross between a bluegill and a green sunfish, usually just called a hybrid bluegill. Hybrid bluegills show most of the classic characteristics of heterosis: high growth rates, willingness to eat, and strength. Although they aren’t sterile, they can still often be stocked like sterile species, since their offspring tend to be around 90% male, making subsequent reproduction rates low. One heterotic hybrid species that has become somewhat legendary is the meanmouth bass. In the 1960s-70s, biologists crossed largemouth and smallmouth bass to create the meanmouth. Some say it’s called that due to its ferocious nature. Others say it’s because it’s the genetic mean of a smallmouth and largemouth. While that combination didn’t produce particularly fit offspring (survival rates were low), smallmouth bass are able to breed with other black bass species, like the spotted bass, relatively easily. These other crosses, particularly between smallies and spotted bass, have pretty much taken over the name “meanmouth,” but wild populations are still fairly uncommon, ensuring the meanmouth bass remains elusive to most anglers. 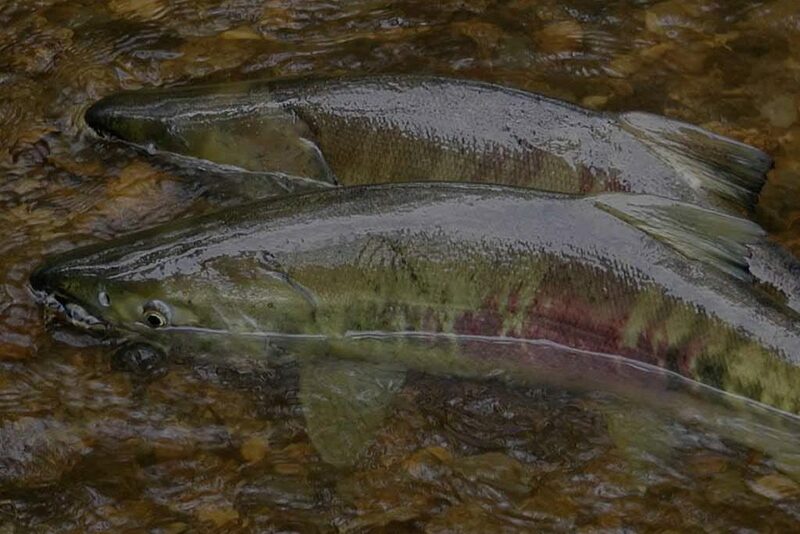 Why do Salmon Species have Two Names? What is a Triploid Trout?